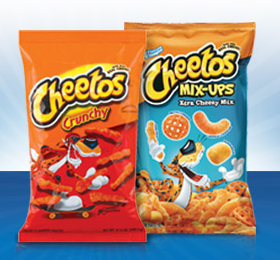 Today, 8/9, only you can download an eCoupon for FREE Cheetos from Kroger! This is part of their Kroger Free Friday and we never say no to FREE snacks! To get your freebie download the Kroger eCoupon today and use it any time over the next two weeks. This is a nice way to tack on a little extra savings at Kroger, especially now that doubles are discontinued in most regions. The coupon expires on 8/24.